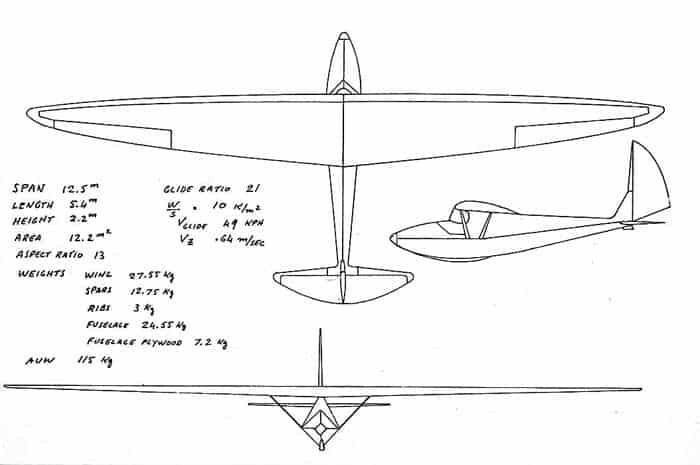 A Tribute To Michel Mineo and his 98lb Mineo M-5 Glider. Have you ever thought about trying to design a glider with a 41 foot wing span and a glide ratio of 21.1? with an empty weight of 98lbs You might say that’s impossible! Well it was done in 1933 by Michael Mineo. 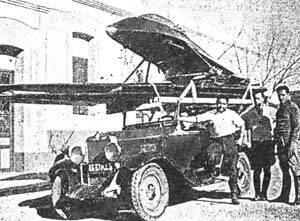 Michel Mineo was a man in his 20,s living at Rabat Morocco during the 1930, s. Mineo had completed his schooling and had developed a passion for aircraft design. He had an excellent aptitude for maths and so he had a single focus driven by budget and efficiency to build a low cost efficient glider for ridge soaring. The concept is familiar. For to-day we are still trying to do the same thing. Mineo M5 Glider design was I believe revolutionary for his day. His ideas are truly remarkable. 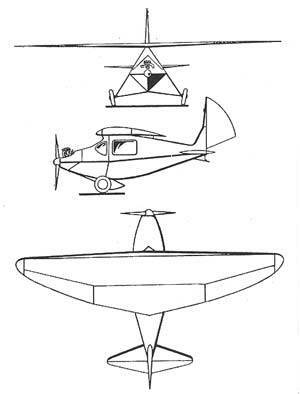 The Mineo M-5 incorporated a diamond shape fuselage which allowed him 3 important design advantages. The landing skid could be mounted on the bottom of the V with excellent load impact qualities. The wings struts could be mounted inside the fuselage to a common hard point and this would allow the quick removal of the wing and allow the glider to be transported on the top of a car. The wings could be mounted to the top of the diamond on a hardwood cabine support member. Mineo’s glider also incorporated a full flying tail plane which was really very radical for the 1930. 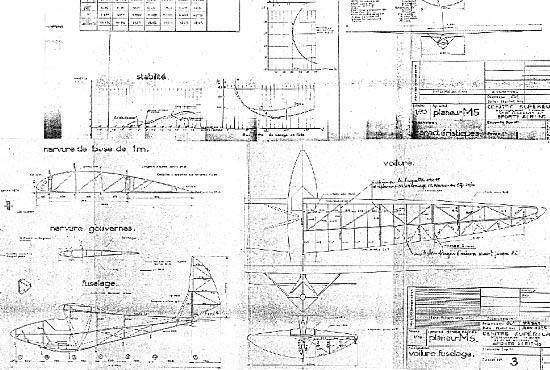 The Wings: The D section was in use at the time for some high performance sailplanes but Mineo chose a strut wing structure which was lighter and more rigid, but the other reason was it was cheaper to build. 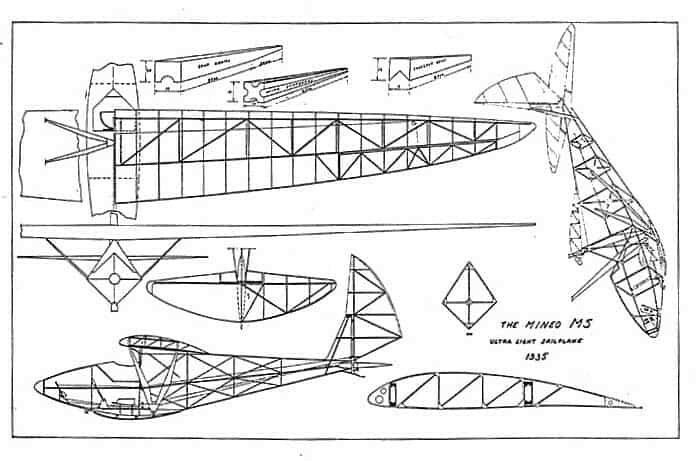 The wing in two pieces weighed 66lbs. The wing spars were made from wood booms .157” x .275” Cables are mounted in the wing for aileron control and are quick release. The fuselage had some custom qualities. That is the advantage of the diamond fuselage design. One could adjust the size of the cockpit to suite your frame. All control fittings were made of Dural and no welding at all is used in the design. 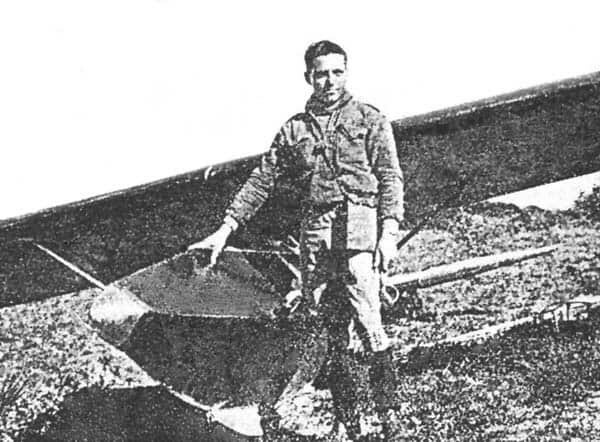 The flying tail plane and rudder weighed 5 lbs. 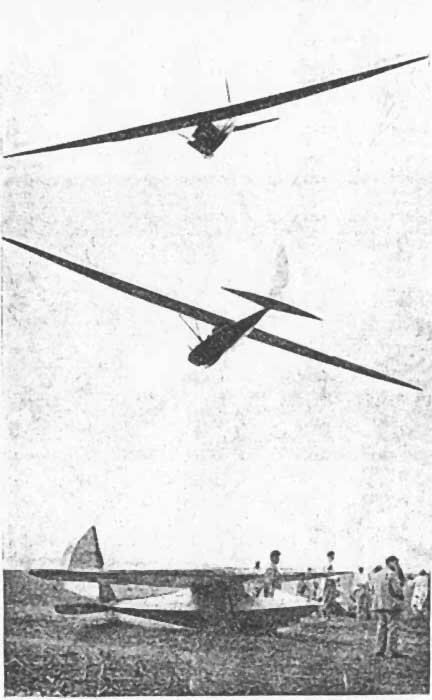 Two gliders were constructed and a number of test flights were made with some flights 55 km long. The construction plan set is truly remarkable in so far as Mineo has included the wing stress analysis on the same pages. This is something you don’t see to-day. The current plan set has all the airfoil data up-date and put through a computer. The rib lofting is very accurate. Mineo was also living in the era of Henri Mignet and the Pou De Ciel (The Flying Flea). Mineo wasn’t impressed with the concept and so he developed his own 12 h.p. high wing ultra light with a very efficient wing and flap. This type of wing to-day is considered exotic! 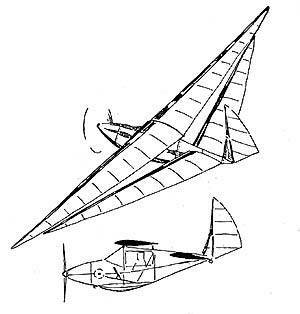 But Mineo had another dream.That was to take the tandem wing idea and develop the first ever man powered motor glider. Mineo researched Mignets layout and found that the two lift centres were far to close to the centre of gravity which offered no margin of safety error at all. Mineo also didn’t like Mignet low aspect ratio wings. So he built high aspect ration wings with a great deal of sweep forward to get the lift CL well away from the centre of gravity but also to give him that low stalling speed he needed.